Switzerland continues to be the most innovative country while India comes 66th in a new UN report that ranks 128 countries on their annual innovative capabilities. The ninth edition of the global innovation index (GII) co-published by the UN’s World Intellectual Property Organisation (WIPO), Cornell University and INSEAD shows that the rich nations still dominate global innovation. The Alpine country retains its ranking for the sixth consecutive year, followed by Sweden, the UK, the US, Finland, Singapore, Ireland, Denmark and Germany. Switzerland scores 66.28 on a scale of 100 in the GII ranking while the US scores 61.40. Germany has pushed its way up to the top ten economies in GII 2016, displacing Luxembourg. Over the years, a rather closed cluster of rich nations has dominated the top GII rankings with hardly any movement in and out of this group. The only notable difference in this year’s GII is the entry of China – the first middle-income country to make it to the top-25 list ever since the UN started compiling these records. It scores 50.57 in the index score. Among the best GII 2016 performers, the four economies of Japan, the US, the UK, and Germany excel in “innovation quality” – an indicator that measures the calibre of universities, number of scientific publications and international patent filings. China also moves to 17th place in innovation quality this year – the report calls its entry into this elite club a “symbolic first step” to bridge the gap that exists in innovative capabilities between developed and developing countries. Among the middle-income countries, China is followed by India that has overtaken Brazil this year in innovation quality. Although India figures at the 66th position overall and scores only 33.61 in the GII, it is the top-ranked economy in the central and southern Asia region. The report mentions India’s tertiary education and R&D, the quality of its universities and scientific publications and market sophistication as its strengths for overtaking other countries in this region. It also ranks first in its ICT exports to the world. The good news is that the country moved up in certain sectors like human capital and research – up by 40 spots – and business sophistication – up by 59 spots. Its ranking of knowledge workers has improved by 46 spots while its knowledge absorption ranking leaped by 33 spots. Economies that perform at least 10 percent higher than their peers for their level of GDP are labelled as ‘innovation achievers’. India performs well in this department and ranks second among the middle-income countries. Many other economies from the African continent, such as Kenya, Madagascar, Malawi, Rwanda, and Uganda, also perform well here. In the GII model’s newly incorporated ‘research talent in business enterprise’ ranking, India comes 31st. India’s low ranking in the list is due to its indicators for business environment, education expenditures, new business creations and the creative goods and services production, according to the UN analysis. It ranks 118th in education, specifically, in the student-teacher ratio profile and 117th in business environment, particularly in the ease of starting a business. The number of science graduates or scientific publications does not guarantee a robust innovative system, as is commonly assumed. So even though India scored highest in ICT exports, it ranked low in innovative capabilities. This is because there is a dire lack of steady flow of public investment in R&D as well as investment in education in India. Even in high-income countries public actors fund innovation. India is good at producing “points of excellence” but this will not solve its employment problem, said professor Soumitra Dutta (see interview), one of the authors of the GII report. Unlike India, China has been investing in education at all levels for the past 30 years or so and that has resulted in its climbing up the UN list rather steeply this year. It will be a long transition for India. Following India in the central and southern Asia region are Kazakhstan, Iran, Tajikistan, Sri Lanka and Bhutan. The UN urges countries to invest in basic R&D critical to the progress of science and consequently for long-term growth, particularly in low- and middle-income countries. For the reasons stated above, only China has seen its R&D expenditures or other innovation input and output metrics move closer to rich countries such as the US. The overall GII score is calculated as an average of the input and output sub-index scores. The input index is supposed to capture elements of the national economy that enable innovative activities, like institutions (political, regulatory and business environment), human capital and research (education, tertiary education and R&D), infrastructure (ICTs, general infrastructure, and ecological sustainability), market sophistication (credit, investment, trade competition and market scale), business sophistication (knowledge workers, innovation linkages and knowledge absorption). This year countries were ranked on 82 indicators. 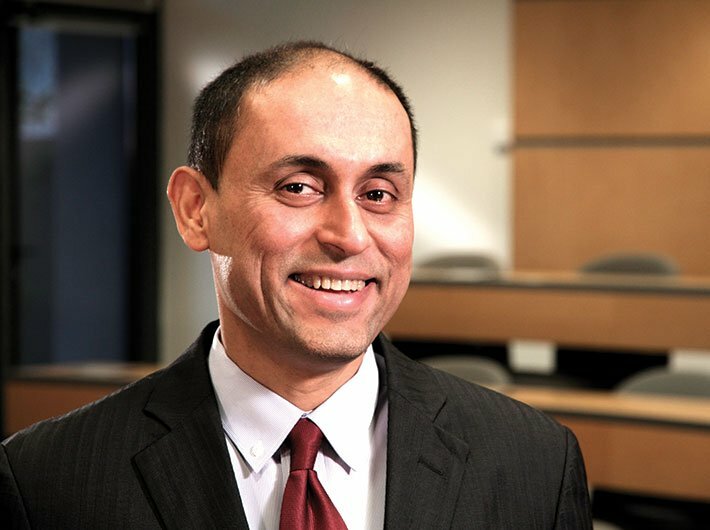 Soumitra Dutta, an alumnus of IIT Delhi, is the dean of a new integrated college of business launched by Cornell University comprising its three accredited business programmes: the School of Hotel Administration, the Charles H Dyson School of Applied Economics and Management, and the Samuel Curtis Johnson Graduate School of Management. Dutta is the co-editor and author of WIPO’s GII report. He also authors another report on technology and innovation – the Global Information Technology Report – that is co-published with the World Economic Forum. Both reports are considered influential and have been used by governments to frame technology and innovation policies. The Ivy League professor is an expert on the impact of new technology, particularly social media and social networking, on business and on strategies for driving growth and innovation through the digital economy. Dutta has co-founded two firms and is on the boards of several startups. He received the European Case of the Year award from the European Case Clearing House in 1997, 1998, 2000, and 2002. India has ranked 66th out of 128 countries in the GII ranking. Why such a low ranking even though it tops as an ICT service exporter of the world? What is important to keep in mind is what [the] innovation index measures. The innovation index takes a very broad view of innovation across society. So it’s not only a measure of one sector, patterns or some narrow measure – it’s a much more broad measure. If you take an example, we also have things like online innovation of citizens – of how they innovate, of how they put content online because, we believe, that is also [a] kind of innovation that is important. If you take a broad base of innovation, obviously, what happens is India is a large country with a large population and on many factors, I think, there is room for improvement, [like] education and other aspects. What India is good at is producing points of excellence in a country that has a lot of room or ground for improvement. Bangalore and Chennai in ICT are points of excellence, which affects the high ranking but there are lots of other things in the country that people think are important for innovation. Essentially, the innovation index measures the capacity of the country to innovate and the success of country innovation. So India as a country has much greater capacity to innovate and that’s what the ranking shows. What has China done right to push forward its way among the top 25 global leaders in innovation – the first-time ever that a middle-income country has been able to break into this closed group? What China has been doing for the last 30 years or more is really developing the capacity to innovate in a much more broad-based manner. It’s not a question of comparing China in ICT and India in ICT – the best ICT in India is, probably, better than the best in Chinese ICT – but the overall capacity in the country [China] is much higher because of simple things like, they have invested so much more in education at all levels, so much more infrastructure. Infrastructure is very important for businesses to innovate and do different things. They have invested so much more in other kinds of support for helping countries set up operations or expand their business. So, I think, China has been leading in many areas. Actually, I would say education and infrastructure and that has been the key reasons for why China has succeeded quite a bit. No, not really. If you take one data point of, let’s say, the royalty getting paid on patents. So, say, take a product that uses a patent from Korea, so you need to pay a Korean company for using that knowledge. But what is interesting is more innovative countries score high on both sides. So they score high on the income they get from their own patent and they also score high on the money they spend on other people’s patents. What is interesting is that all these countries – China, Japan, Korea, the US – they do make a lot of money from the innovation from their own countries but they use the innovation from other countries a lot. So essentially, what you are seeing is that innovation is a game in which you have to use what is there in the market and improve even further. And this is a game where people have to actually work together. So it’s a very good proof in my view of why innovation is a global game. A lot of innovation in China, Japan, Korea would not happen if there was not enough innovation in the US and vice versa. So, this is a very interesting thing that most innovative nations are scoring very high in terms of both the royalty, the receipt from their own innovation, from their own patents and also paying others for using the innovation that others have produced. I think it is largely because the rich nations typically have a lot of legacy investments, in education, in infrastructure, in institutions and so on. So they have a lot of lead in succeeding innovations but, of course, now what is happening is that the middle-income and the lower-income countries are also catching up. India is rising, China is rising, so that’s happening. How far does a strong intellectual property (IP) regime help innovation? Isn’t a strong IP policy in essential goods like medicine, generally speaking, detrimental for a healthy global economy? There is no question about it [the need for a strong IP policy]. You need good institutions; you need an environment, to follow the rules. And that is important and IP laws are a part of that – you have to respect laws that govern business and innovation. At the same time, what you have, and this is interesting is patenting in the ICT sector has gone down. And we think, this is partly because the pace of innovation is itself becoming faster. So the speed of innovation is becoming faster. And the IP processes that are there in place – the time it takes to get a patent – is often incompatible with the speed of innovation. The rule of law, IP law, is very important. Yet, at the same time, in some sectors, the pace of innovation becomes much faster than what rules can support or even processes to get a patent. So some industries are not doing it because it is just faster to move on – speed becomes more important than protection. Without robust enabling structures, do you think initiatives like Make in India and Startup India will suffer? I think it’s a huge problem because ICT is a strength of India but ICT employs a couple of hundred people [meaning, relatively few]. It doesn’t solve the employment problem of the country as a whole. And all countries, what we have seen is that, you cannot take farmers and put them as software engineers. Farmers need to first become manufacturing, shop-floor workers. And then the next generation might move to knowledge economy and then IT and software and all that. So if we don’t have a robust manufacturing sector you will never solve the job problem in India, you will never be able to solve the fundamental problems of growth that Indian economy requires. China has really focused on developing [the] manufacturing [sector] that has given them jobs and has lifted a whole generation from the farms to the factory and now they are starting to focus on [the] knowledge base, the service sector and so on. And the people who work in the factories today, their children are in a better position to move to the knowledge-based economy. India has skipped that transition. It’s a long transition and, therefore these programmes are very important and very useful.